Whether you are a Beginner, Intermediate, or an advanced swimmer we can provide a bespoke package to cater for all needs. Having relocated to Moraira (Spain) in 2017, your coaches Brian and Annie will work with you to provide either a one of stroke analysis session, create a series of sessions designed to improve your pool, or open water swimming, or work with you over a specified period of time to provide you with guidance, and a full swim program helping you to achieve your swimming goals. 1:1 Pool sessions - designed for the beginner to help improve confidence and stroke improvement. 1:1 Open Water Session - designed to improve confidence in the open water, including open water stroke improvement, wet-suit swimming, spotting and open water race craft. Swimming programs - a series of face to face accompanied with specific swim sessions for you to complete when swimming alone. These can be designed to improve overall swimming or to target a specific swim or triathlon race of your choice. 1:1 Video Analysis - this type of session is geared for the swimmer/triathlete who want to take their understanding and development a little further. Using underwater cameras and overhead cameras you will leave your session with a greater understanding of what your stroke looks like, and where improvements can be made (15 mins swimming 30 mins stroke analysis). ​Group Sessions - we can design for you a progressive, fun and enjoyable session for groups who want to work and learn together. Learn to Swim - we have got a great deal of swimming and teaching experience, we will work with and give you the confidence to take that first stroke, once you have learnt to swim you will never look back. We are extremely flexible and the sessions can be arranged to suit your location, this can be discussed during the initial contact. Of course pool time is dictated by the local authorities (unless a private pool is available), open water swimming is easier to arrange but will also be dictated by the weather and time of year. On your initial contact we can discuss your requirements including best swimming locations and times. 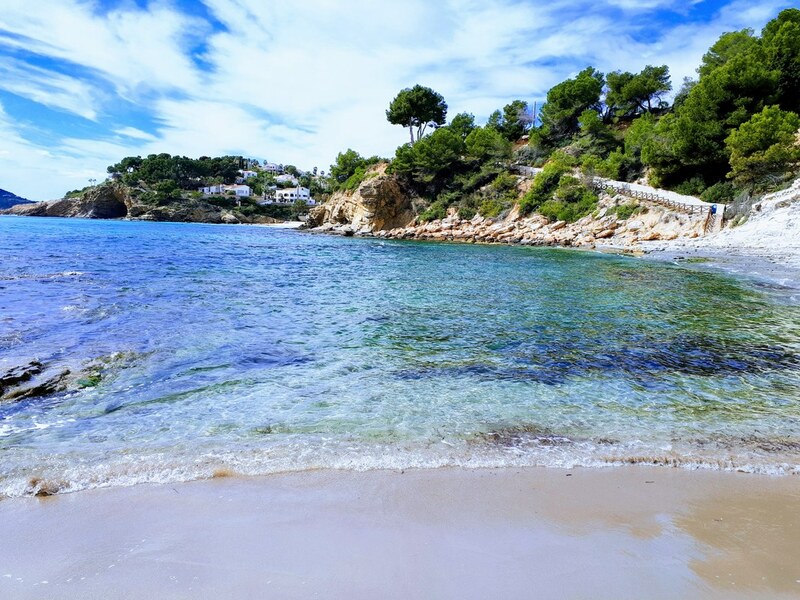 If you are new to open water swimming, or want to improve your open water swimming confidence, there is no better place than the coastline of Moraira and the surrounding bays with Natural Ability. Join us in the calm, clear waters of the Costa Blanca to explore your limitations, and be guided by Brian and Annie to improve your open water swimming ability. ​We will work with you to provide a safe, supportive and fun learning environment, and help you to feel more confident about swimming in the open water. Coach Annie is a British Triathlon Level 2 Coach and a National Open Water Association Coach (NOWCA) and has been coaching swimming and triathlon for over 15 years. Annie is a great technician and analyst of the swimming stroke, and will provide expert feedback and correction advise. Brian is a British Triathlon Level 3 and Kaizen Coach, Brian who is also a TrainingPeaks Level 2 accredited Coach and Ironman Certified Coach has been coaching triathlon and swimming for over 15 years. Over the years Brian has coached numerous athletes of all standards to reach their swimming and triathlon goals, including Ironman distance swims, Sprint distance swims, and long course 5 and 10km swim races.